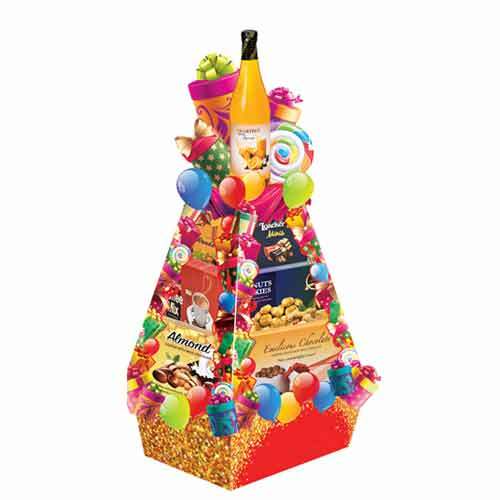 Description: Congratulate your best friends and closer ones on their success by gifting this Enchanting Hearth Side Gift Hamper that is a pure piece of joy. 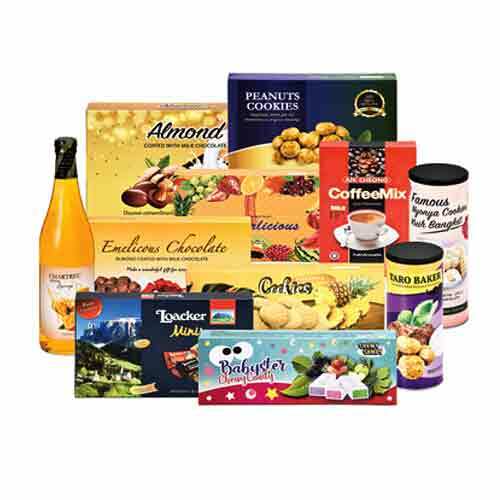 This lovely Hamper is overflowing with luxuries which carry Taiwanese Durian Coconut Cheese Sticks (100 g), Jacobsen"s Old Denmark Delicious Blueberry N Coconut Cookies (150 g), Alfredo Cherish Heart Milk Chocolate (200 g), Crunchy Sesame Ground Nuts (150 g), Alfredo Dark N White Chocolate (110 g) and Double Happiness Money Tree Coin. 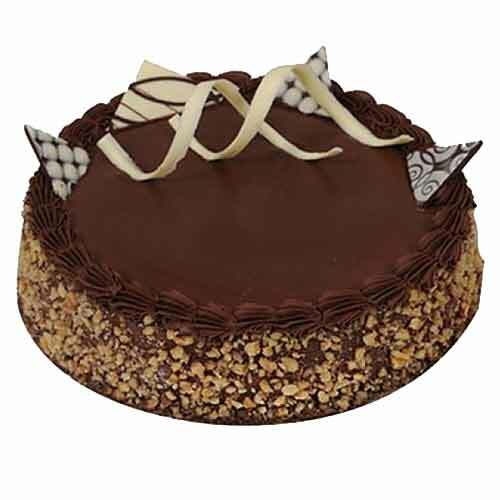 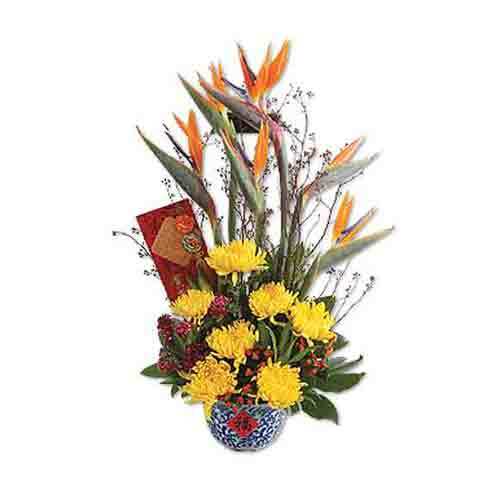 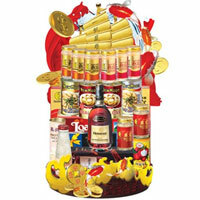 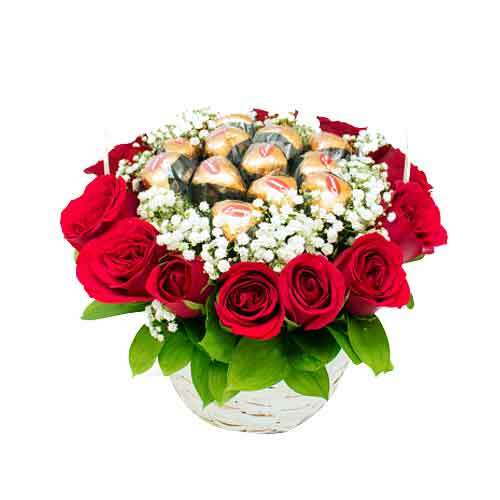 These whole items are presented wonderfully in an exclusive Metal Basket with Festive Packaging N Decoration.